Upcoming hearings on whether Mississippi Power Co. should be able to get customers to pay for its Kemper County power plant have been postponed. JACKSON, Miss. 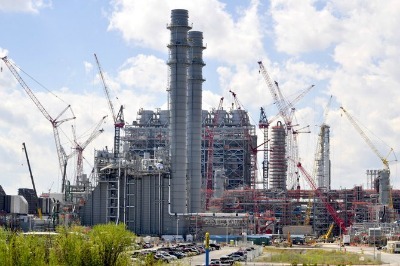 (AP) — Upcoming hearings on whether Mississippi Power Co. should be able to get customers to pay for its Kemper County power plant have been postponed. #The Mississippi Public Service Commission Thursday delayed prudency hearings from May 19 until at least August. Those hearings are supposed to examine the more than $2.75 billion that Mississippi Power, a unit of the Atlanta-based Southern Co., spend through March 31, 2013. Another prudency hearing for remaining costs would follow after the plant goes into commercial operation, scheduled before year’s end. #The price tag for the power plant, a lignite mine and associated pipelines is expected to run to $5.2 billion overall, up from an original estimate of $2.8 billion. Mississippi Power plans to absorb $1.3 billion in overruns. #The Public Utilities Staff, a separate agency from the commission, sought the delay. The commission asked the staff, Mississippi Power and others to see if they could settle any issues before a hearing. Staff Executive Director Virden Jones says he wants to discuss a settlement not only of spending prudence, but also of Mississippi Power’s seven-year rate proposal to recover costs. #Jones said he questioned the wisdom of a rate plan that allowed for no adjustments for seven years, even if ratepayers were paying far too much or too little for the plant. Most rate mechanisms in Mississippi are adjusted yearly. Jones said the staff and Mississippi Power are “not close at this point” to any settlement.